Today's non-sports card of the day is from one of the more odd Topps releases from the 1960's. 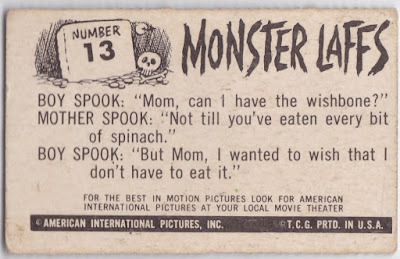 This is card #13 from the 1963 Topps Monster Midgee sets which were mini cards that featured monsters from B-movies with a funny caption added to the bottom of the card. The set is pretty popular with sci-fi fans and fans of bad cinema. 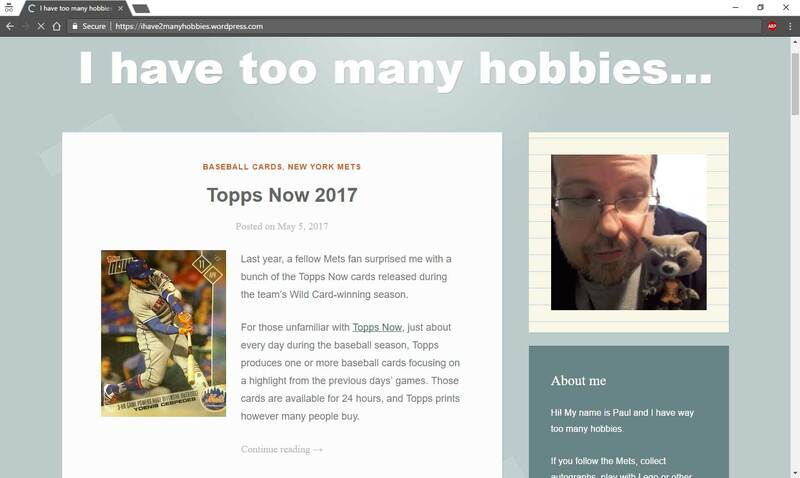 Here's an eBay auction for an empty box of the set for only $750. 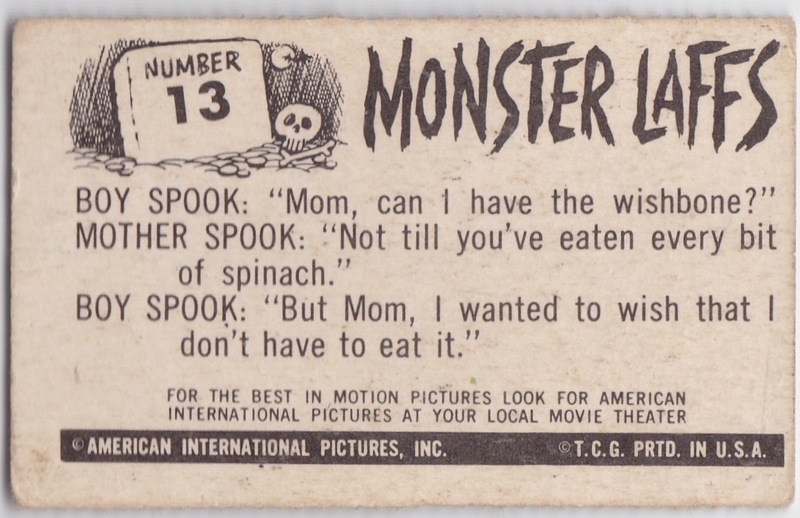 On the back, Topps gives us a ghost related joke that the kids could impress their friends with in the 60's. One of the frustrating aspects of this set is that the front and backs do not give you a definitive answer as to which film the images came from. I'm a big fan of bad sci-fi movies but sometimes it is a little tough to keep everything straight. 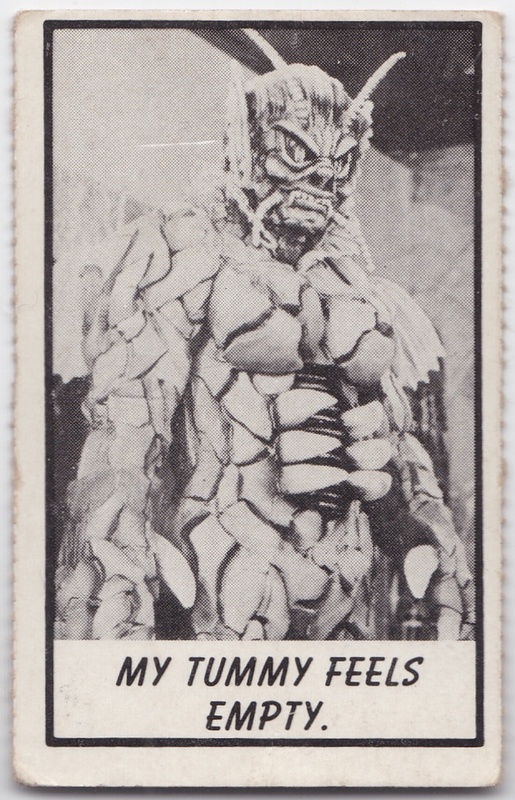 In the fine print of the card, it gives you a hint that the creature on the front was from a film made by American International Pictures. 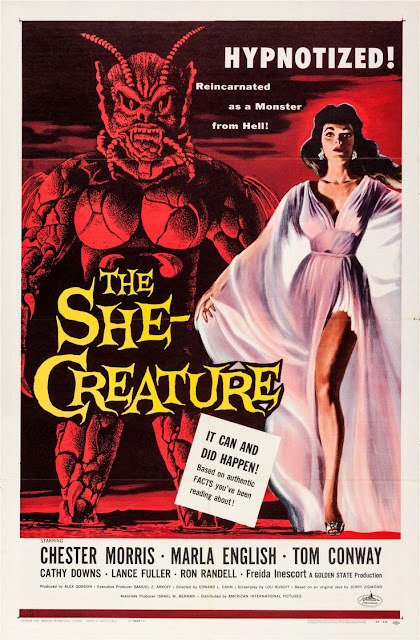 With a little research into American International's huge movie output, the monster featured is from the film The She-Creature, directed by Edward Cahn. The movie's poster below gives away most of the film's story as the woman on the right is hypnotized and in a past life she was the horrible prehistoric creature on the left. She able to personify the creature into today's reality and it goes on a murderous rampage as one's personified monster often does. 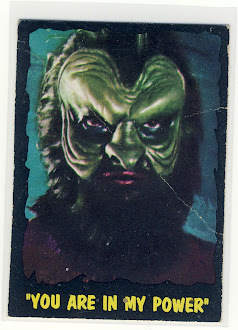 The creature was designed by visual artist Paul Blaisdell who took part in many bad B-movies from the 60's including Teenagers Outer Space and Earth vs. The Spider. Mystery Science Theater 3000 even gave the film the riff treatment during Season 8 which you can watch on YouTube.